It is often hard for blind children to conceptualize movement, especially that which occurs naturally or is challenging to feel or touch due to scale or inaccessibility. We visited The Perkins School for the Blind, but we noticed that their classroom models were static and demonstrated no motion. 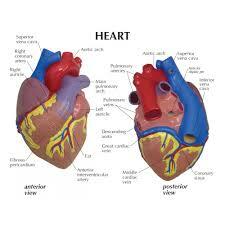 Drawn to the anatomical models, we chose to create an anatomically correct beating heart. We decided on the heart because it is one of the more important and complex human organs. We used a FormLabs 3D printer to create an accurate heart modeled in flexible resin, and used a laser cutter to create mechanisms to operate it. Our heart had two separate chambers, and using motors and a simple piston system to actuate the walls of the heart we achieved a beating motion. Pumps were used to pump air out of the arteries and take in air from the veins. Finally, to hide some of the mechanics, we placed the heart in a simple chest cavity with foam lungs to hide the pumps and power. Our project captures the motion of a swan. Which Allows the visually impaired to experience it fully. Blind people have trouble experiencing many things that we take for granted. This project was created to translate the visual experience of watching a bird fly to a tactile experience. It would be difficult to touch a bird in the wild, so many visually impaired people have trouble understanding the movements of birds. We created a swan that can demonstrate the different movements of a bird to the visually impaired. Flying is a very unique motion that cannot be explained easily to someone who has not experienced it. This project will help blind people access movements that they would not be able to normally. This project was created with Linkage, a software that can create linkages and gears. These linkages and gears were used to create the motion that we wanted. A common issue in educating the visually impaired is the inability to describe the movement of animals, even with present society's advanced technology. This mechanical spider was created in order to help the visually impaired experience the motion of a spider's legs without the danger of touching a real spider. In today's society, the visual aspect of our lives is perhaps the most important, and vision is quite possibly the most used sense; however, it is often times unappreciated. Many humans suffer from blindness, and because of this, miss a grandiose part of everyday life, something that the new education system for the visually impaired cannot recreate. Often times people are educated visually, and learn through video clips of the relevant topic, such as PBS's documentaries of the world's different animals; however, this is not an option for the visually impaired, and the idea for our project was to find a way to communicate an animal's movement through touch and feel. While visiting Perkins School for the Blind, Calli, Cian, and I immediately noticed that the school had a distinct lack of animal models that moved. Because our group was interested in the movement of a spider, we decided to create a mechanical arachnid that would help educate the students on the motion of the legs. Because the school already had models of several spiders, and due to our lack of experience with mechanics and programming, we decided that the actual body of the spider and the texture of our final product was much less important. We began by adding eight legs to a wooden peg board, but this model was very inefficient and did not accomplish any of the goals that we had in mind due to its inability to move on its own or mimic the motion of a spider. As we transitioned into cardboard, the project began to take shape, and while we ran into many problems, we were progressing at a very fast rate. The final iteration of our project consists of a 1/8 inch wood material, as well as several gears that are connected to a powerful motor which moves eight wooden legs that are shaped to that of an actual spider. There were many issues throughout the process, but the final product is much more functional than I ever expected, and I feel as though this project may actual help the visually impaired understand the movement of a spider. Blind people cannot experience most things the way that people with vision can. We may learn things not from first-hand experience but from movies or diagrams. The visually impaired can only experience things through touch, they can’t experience most if not all natural disasters. So my partner Blas and I thought it would be a great idea to help the blind experience a natural disaster through touch. At the beginning we had a hard time visualizing what we wanted our project to look like, I needed some help from David because I did not fully understand what some natural disasters are. We drew a few models, and after some trial and error we came up with an idea similar to a youtube video. We came up with an idea to create a box with water and an automatic mechanism that moves back and forth to simulate a tsunami. It took a while to create all of the parts that we needed in rhino. Our first prototype in cardboard and it was almost as perfect as we planned it, but we found out that the top piece of the mechanism was too long and we had to cut it down. Currently, we are in our final iteration and it is almost done. We have cut most of our pieces in wood, we just need to cut the rest of the box. Visually impaired people have trouble understanding many motions because they cannot feel them. We tried to turn flight into a tactile experience so visually impaired people can experience it as well. We did this by watching the different motions of a swan and modeling them in a linkage program. We have two different parts: a swan unfolding its wings and a swan flapping its wings. For this project we aimed to re-create the multiple types of motion present throughout evolution, we chose evolution because it is not only difficult for non-sighted people but also for sighted people to understand because of the inability to interact with the creature or in some cases there isn't enough information to describe the creature accurately. We decided on the evolution of motion because there is a lack of information about extinct species and especially how they move. In addition, non-sighted people will now be able to experience multiple types of species and movements that most sighted people don't understand. To begin this project we had to research the timeline of human evolution starting by looking at simple chordates who have only the most basic beginnings to a spine, evolving all the way to Homo Erectus the most recent ancestor to human beings. To do this we had to choose four models from each generation of movement. To begin we needed to show the swimming of the chordates then the crawling/sliding of tetrapods, developing wrists and elbows into mammals with quadrupedal movement and their own body heat and primates with toes made for grasping and climbing along with losing their tails. Finally the Homo Erectus a fully bipedal being with feet made for walking and hands for precision movements. The chordate was made with a simple crank mechanism along with tabs that simulate the slithering and swimming of a chordate. Next, the tetrapods that walk on four legs with its center of gravity extremely close to the ground would be done by simulating the walk or scurry of a lizard with gears and linkages. Subsequently, there is the primate who moved mostly on all fours but is capable of bipedal walking and complex climbing. In conclusion, we wanted our project to show non-sighted people how extinct ancestors of humans moved. We take sight for granted, but for those who are visually impaired, the world feels like a different place. In today’s world, dominated by human sight, many things may go unnoticed for the visually impaired once they are out of the hand’s reach. For instance, things that are in the distance, things that are very large or very small, things that move and events that are temporal, and so on. In this studio, we will create kinetic sculptures inspired by nature, allowing the visually impaired to perceive characteristic movements through touch. A cheetah running. A leaf falling. A flower growing.